The Postcards Collection makes a nice addition in a study. You can use the Bunchapals Postcard Corkboard to hang them all up. When you enable the emotional aura of the Postcards, Sims in the room will get Inspired. 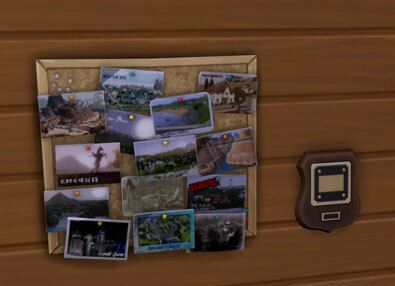 There are a total of 14 different Postcards to collect in The Sims 4. 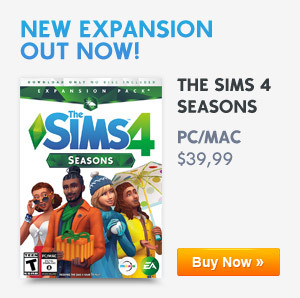 You will receive the postcard from a location that was added in The Sims 3. To collect these Postcards you will have to find pen pals on your computer. Click on ‘Socialize‘ and then ‘Find a Pen Pal‘. This way you are placing an post on the pen pal forums. Now you will have to wait a few hours before you are getting a response. You can check this of you use the socialize button again. When you find your new pen pal you can write them again and after that ask for a Postcard from their location. When you found your first pen pal, you can immediately search for a new one from a different location. Sometimes you will have to write more then once to receive it. You will get the Postcards in your Mailbox. You also can get common Postcards by searching in outdoor trash cans. Click on the trash can and click ‘Rummage’. Most trash cans are located in the Park so start your searching there. Collect all the Postcards on the Bunchapals Postcard Corkboard! You can also unlock all the Postcards with the Buy Debug mode cheat (adds extra objects) found on the Cheat Code page. Make sure you put the Postcards in your inventory to complete the collection. All your penpals discovered somehow that they know each other! What are the odds! This plaque is the result of a unanimous decision in a lengthy forums thread over what they should all pitch in to send you.